An Ode to Wolverhampton. Yes, you heard correctly. Of all the things I didn’t expect to come out of my time at university, a blossoming relationship with Wolverhampton was certainly one of the more unanticipated. But as several of my close friends are residents, I’ve had to spend my fair share of time there of late. I’ve developed a love/hate relationship with this town. Sorry, city. According to the Telegraph, Wolverhampton became a city in 2000 as part of the millennium honours (no cathedral – controversial!). It’s a city with a lot of character. After living in a small city on the other side of the Midlands with the personality of a teaspoon (apologies to friends who know which city it is I’m bashing. I love you all, I just dislike the city) this is a trait I’ve grown to really appreciate in a place. Of course, the city has it’s down sides. The cabbies are all a bit mad, there are areas my friends won’t let me walk through alone, and I have been winked at by more creepy old men than I wish to remember. But every town has it’s faults. Sure, many people there have slightly questionable views on certain issues,** but at least they actually talk to each other on the bus. And what’s more, the buses themselves talk to you in a Wolverhampton accent. Haven’t you got to love a place whose transport system pronounces the word road as ‘rowd’? So, here are a few facts about Wolverhampton. Because knowledge is power. You’re welcome! 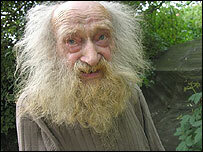 Josef Stawinoga, who lived in a tent on the ring road for 30 years prior to his death in 2007, was a local celebrity. When he had to have his tent replaced in 2003, it made the national news. It is thought he was a Second World War veteran, whose status as a POW had left him with claustrophobia and unable to live in sheltered accommodation, but the council’s ‘meals on wheels’ service visited him regularly whilst he was living on the roundabout. There is talk of a statue being erected on the roundabout in his honour. ** See the anecdote / transcribed conversation at the end of my previous post which was given to me by a friend from Wolverhampton.